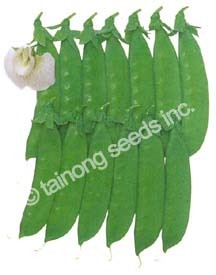 Snow Peas 雪豆 | Tainong Seeds Inc. Excellent quality and extra prolific. Bright green pods are large, smooth and tender.